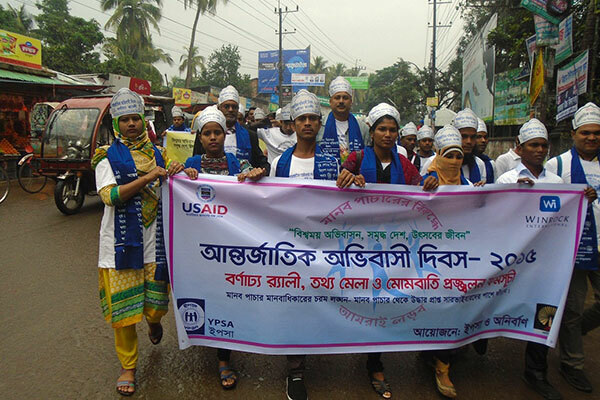 YPSA and Survivor Voice “Onirban” organized a candle light vigil in memory of the victims who died and missing during illegal migration from Bangladesh. They light candles at the sea beach of Cox’sbazar on 18 December on International Migrants Day 2015. 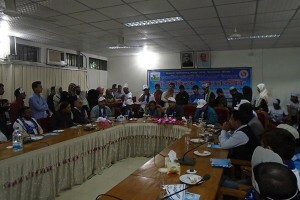 The candle light vigil was led by Sirajuddin Belal, Program manager of YPSA where National Program Officer of IMO Asif Munir; Assistant Director of District Manpower and Employment Office, Cox’sbazar; Abu Morshed, Cox’sbazar Chamber of Commerce and President of Cox’sbazar Civil Society delivered their speech in the program. They wish for victims soul to rest in peace and expressed condolence to the family for their lost. Speaker also urged to related authorities to take necessary steps for bringing captives back from the adjacent countries and give exemplary punishment to human traffickers. Besides this, YPSA jointly with Cox’sbazar District Administration and District Manpower and Employment Office, Cox’sbazar observed International Migrants Day 2015. Rally, discussion meeting, best remittance award and education stipend for the children of migrants were arranged to mark the day.